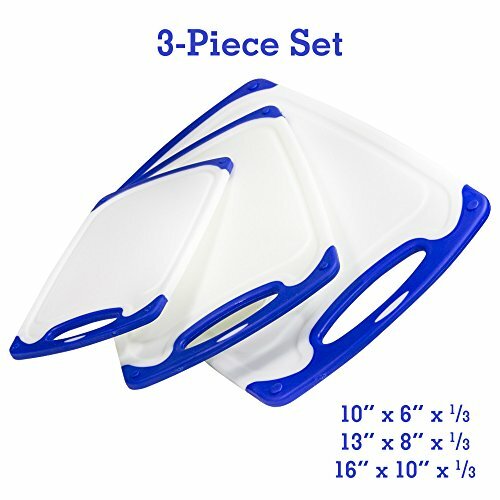 ★ SET of 3 convenient sized CUTTING BOARDS - Large is 16" by 10" | Medium is 13" by 8" | Small is 10" by 6". Each is 1/3" thick. 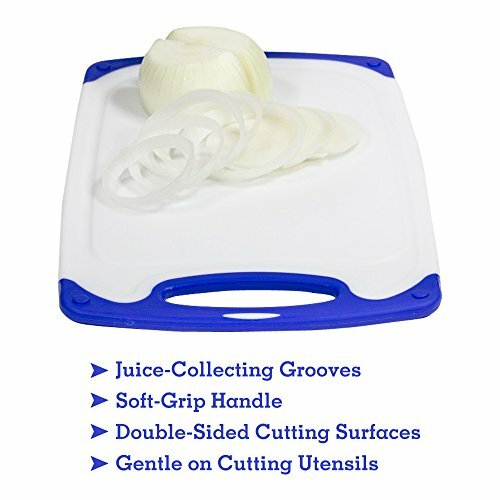 DOUBLE SIDED CUTTING SURFACE allowing them to be extremely versatile. 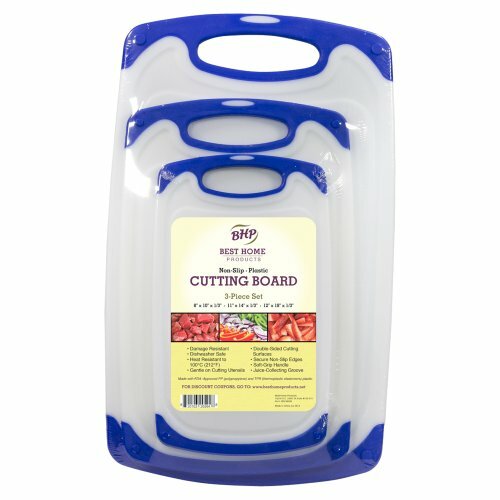 DEEP JUICE GROOVE on all 3 boards for retaining juices and preventing a mess. 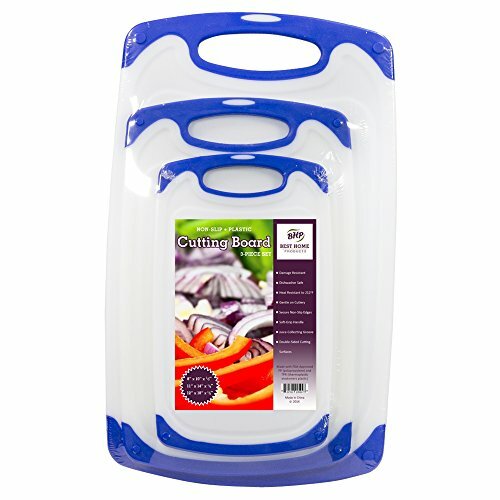 ★ Made with FDA-Approved PP (polypropylene) and TPR (thermoplastic elastomers) plastic making them odor resistant. 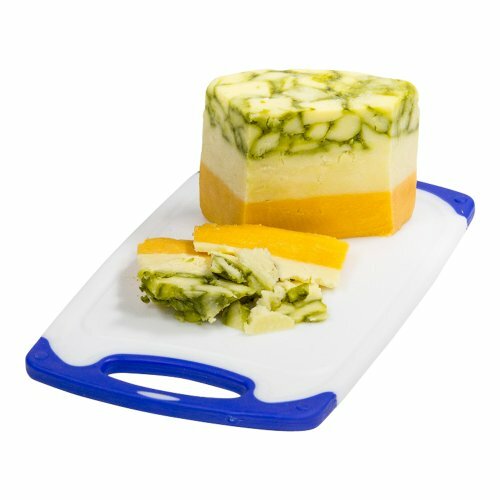 Dishwasher safe and damage resistant, but gentle on cutting utensils. Easy to maintain. ★ OUR COMMITMENT TO YOU ★ Comes with a 100% Money Back Guarantee. We will fix any problem quickly and to your satisfaction every time! Our motto is to treat our customers as we wish to be treated.